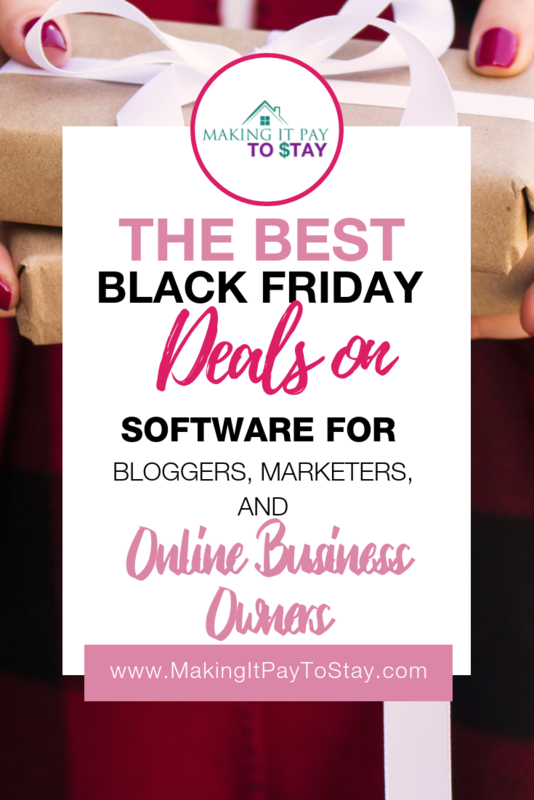 It’s that time of year again to take advantage of Black Friday deals on software, services, and courses. As an online business owner, this is the perfect time to snag “annual” savings, subscriptions, and splurge on courses. Not only are many companies offering big discounts, but November is also a good time to start thinking about how to lessen your tax burden year and show a lower profit. Anything you purchase that’s used for your business is tax deductible, including software subscription fees, courses, association fees, products such as phones and technology, and even done-for-you services. 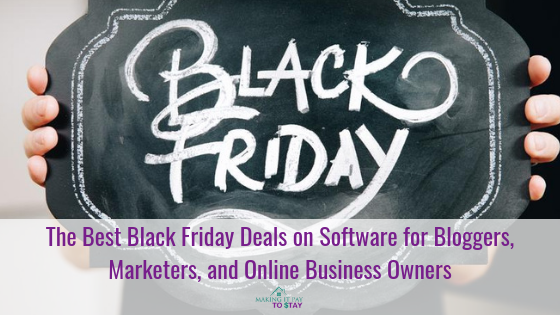 So, without further ado, let’s take a look at some of the best Black Friday Deals for online business owners. I use the Divi Theme from Elegant Themes on almost every website I design. It’s user-friendly, and not only do you get access to Divi (and many other themes) you get access to Bloom and Monarch which allow you to create custom opt-in forms and social media sharing options when you purchase a lifetime membership to Elegant themes. You can use any theme on as many websites as you want and only pay a one-time fee. No recurring expenses! The big news? Elegant Themes is giving away $500,000.00 in Black Friday prizes during their Black Friday sale on November 23rd! This will be their biggest sale of all time, so you don’t miss out. The best prizes are going to sell out fast! Bookmark this post and click this link or the banner below to take advantage of this and WIN BIG! If you’re thinking about affiliate marketing (which you should be if you want to make money online), then you need to find an automated email marketing program that allows for affiliate marketing. This is one of the best and most affordable. You might want to save money by going with something like MailChimp, but they will shut down your account if you include affiliate links. Convertkit loves affiliate marketers and you can even set up landing pages which negates the cost of a separate service. Get your FREE 14-day trial here. Test it out, and make it your mission to sell more in recurring affiliate income than the cost of the service. I’m in LOVE with the folks at Bench! 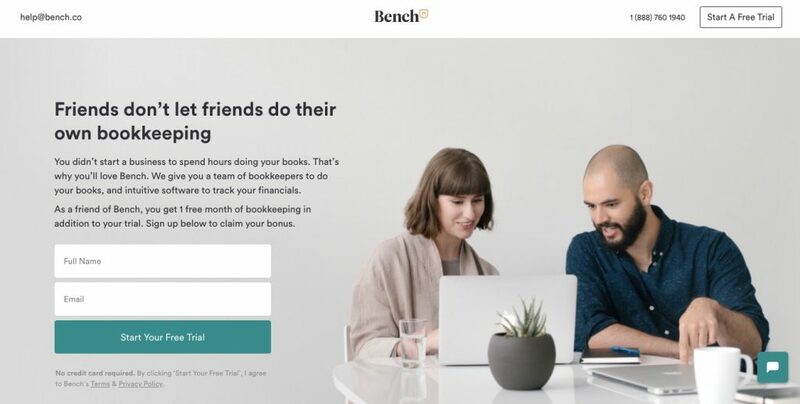 They’ve saved me about 6 hours per month that I used to spend on bookkeeping. Their prices start at $95/month and let me tell you, it’s worth EVERY SINGLE PENNY. 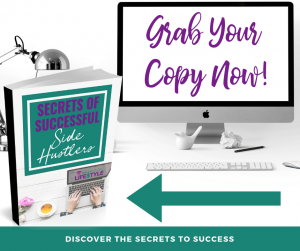 They pull from all of my multiple sources of income, are connected to my bank accounts and credit cards, and I get monthly reports quickly and on time. I never have to worry if I forgot to record an expense or take note of new income. If you are planning on scaling your business, outsourcing your bookkeeping and accounting is the first thing you should think about. What are you waiting for? Go get a FREE MONTH and FREE CONSULTATION with Bench through this link. No credit card required! Many businesses use Paypal, Stripe, and other online payment processors, but with Square, you get your first $1,000 in sales with ZERO fees through this link. Why does that matter? Well, if you send an invoice online, or use their free in-person payment processor, you’ll save $30 instantly instead of using someone else. Not only that but once you’re a customer, you can refer Square to others and keep getting free payment processing. Most online payment processors charge about 3% in fees, so why not use Square and save? Having access to a cloud-based storage system with massive space allocation has made my life as an online business owner SO much easier and profitable! I can instantly organize and access my files from anywhere (including my phone) and don’t have to have my laptop with me. Dropbox is a must if you’re going to be sharing files with team members, clients, or contractors. You can add others to folders in a matter of seconds, backup everything to Dropbox folders, and never worry about a crash or virus ruining your work. As of publication time, I’m using a measly 65 GB of 1 TB and I back up all of my website, my hard drive, my videos and audio, and all of my client’s websites as well. You can’t be too careful about protecting your data and the peace of mind I get from knowing it’s all there is priceless. Creating images for Instagram, Facebook, and other social media platforms takes time, and for really good images, usually requires you to purchase a stock photo subscription (which, if you do, I recommend Shutterstock). If you want to save time and money, you can find extremely good deals on Etsy. 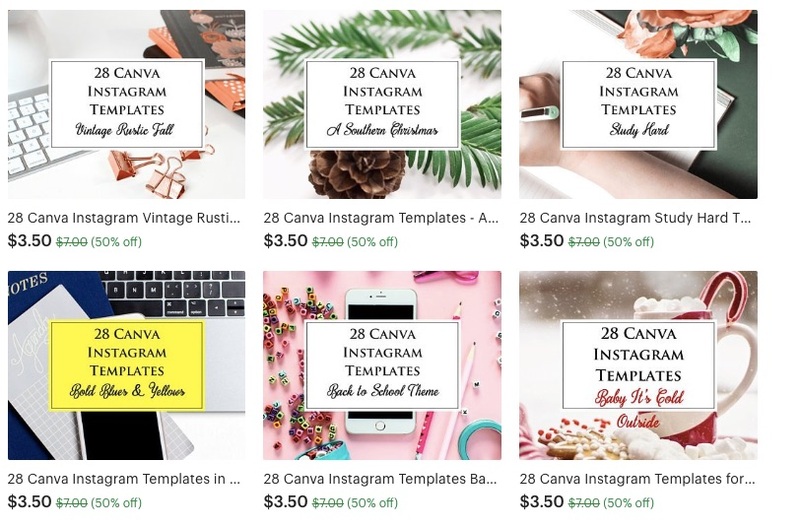 Yes, there are many Etsy shops who produce templates you can instantly download and use for Instagram or resize in Canva to use for all the other platforms! Click here to get 50% off all Instagram templates from the iAssist Virtually shop for a limited time. Taking courses and learning a new skill is the best way to ensure your income in the future. 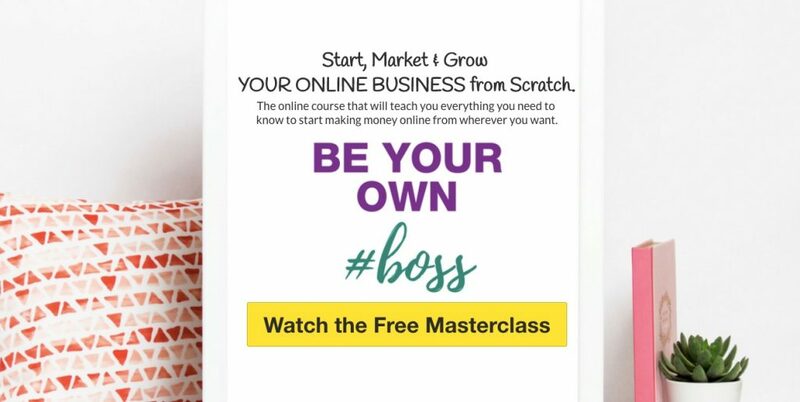 If you are able to learn something new and create an online business (or several) from scratch, you don’t need to worry about being laid off or unemployed ever again. 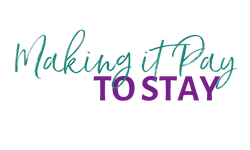 The Making It Pay Lifestyle Course will teach you how to start multiple online businesses from scratch and, for a limited time, give you a custom-made logo for just $1.00 if you purchase the course. Take note that the course will double in price on December 1st and the free logo deal will disappear as well. If you’ve been on the fence, now’s never been a better time. You can also become an affiliate and if you get 2 people to buy the course through your link, the course is paid for. 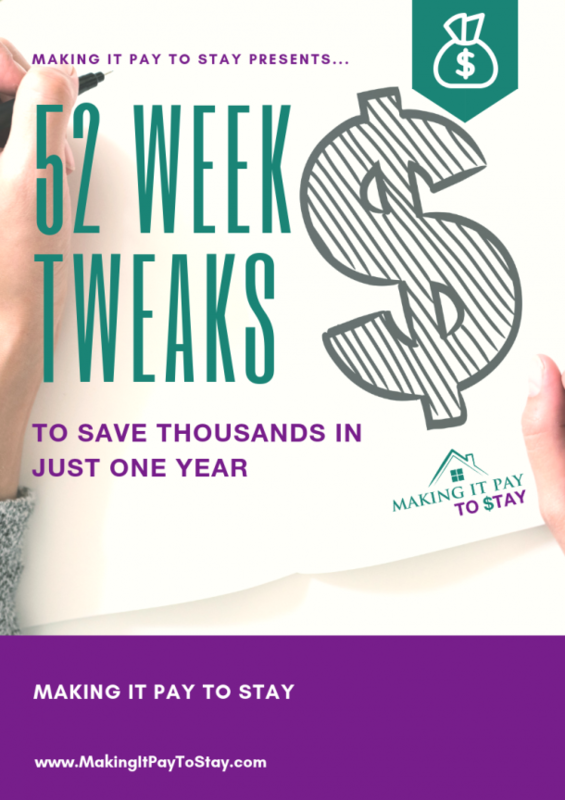 If you’ve never heard of The Making It Pay Lifestyle Course, I HIGHLY encourage you to watch this free masterclass first and then take advantage of the free logo offer.